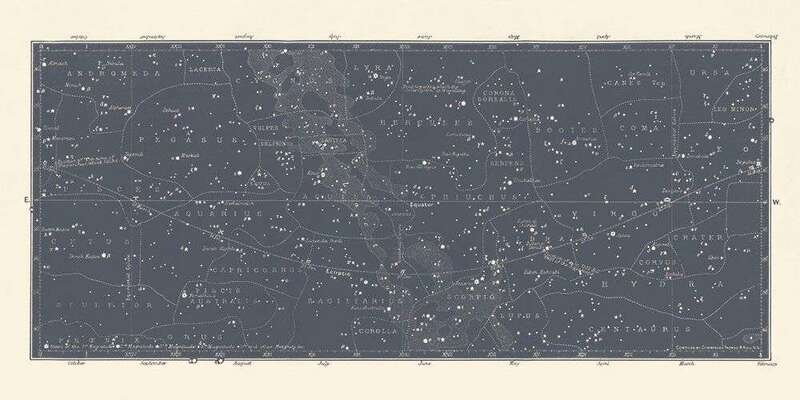 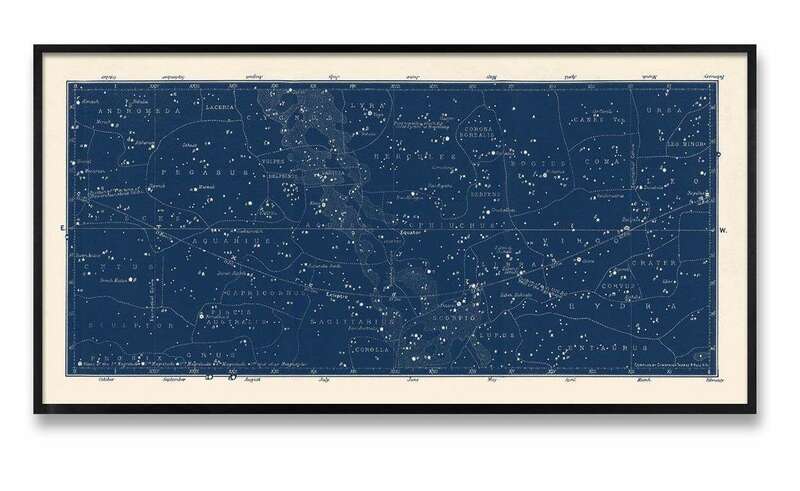 This wide format Vintage Star Map print is based on a restored and very rare vintage Constellation Map from 1849 but still feels modern and timeless. 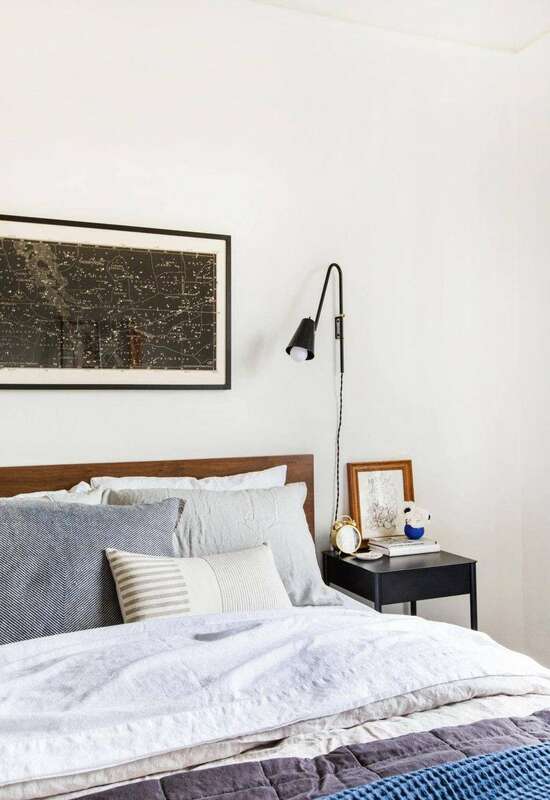 This is one of our most popular prints and has been featured on Emily Henderson’s home decor and design blog. 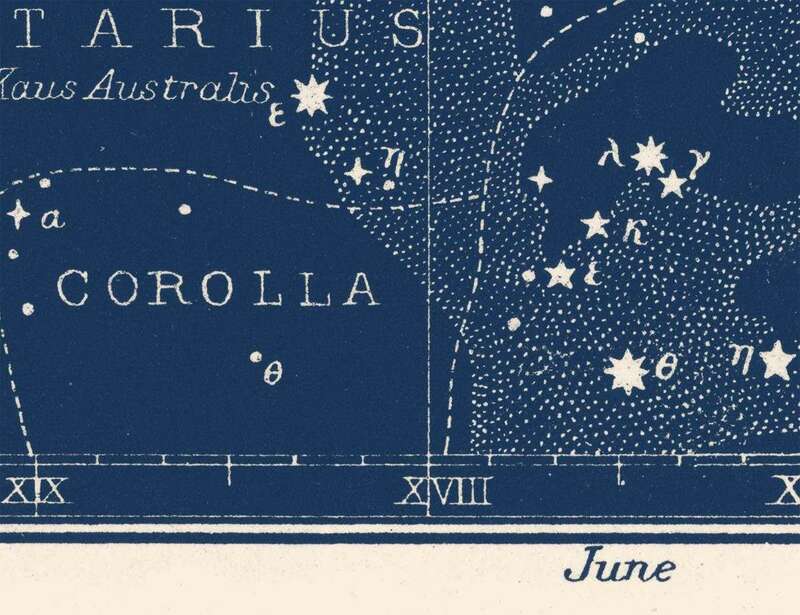 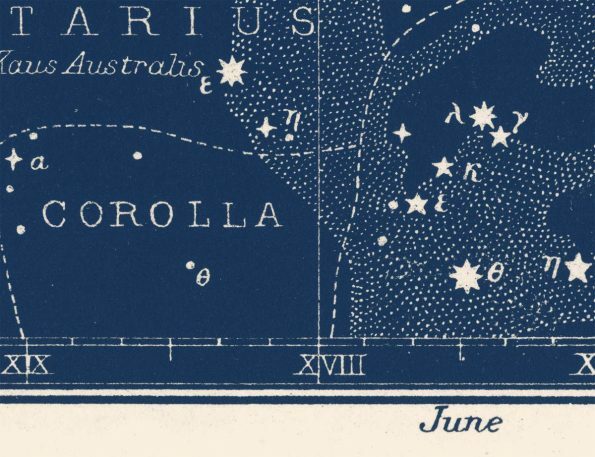 This star map has many fine details such as hand-drawn stars, stippled celestial forms, hand-drawn typography and a slightly distressed antique patina. The print has a 2:1 aspect ratio except for the 36″ x 24″ which has been adjusted to a more standard rectangular size. 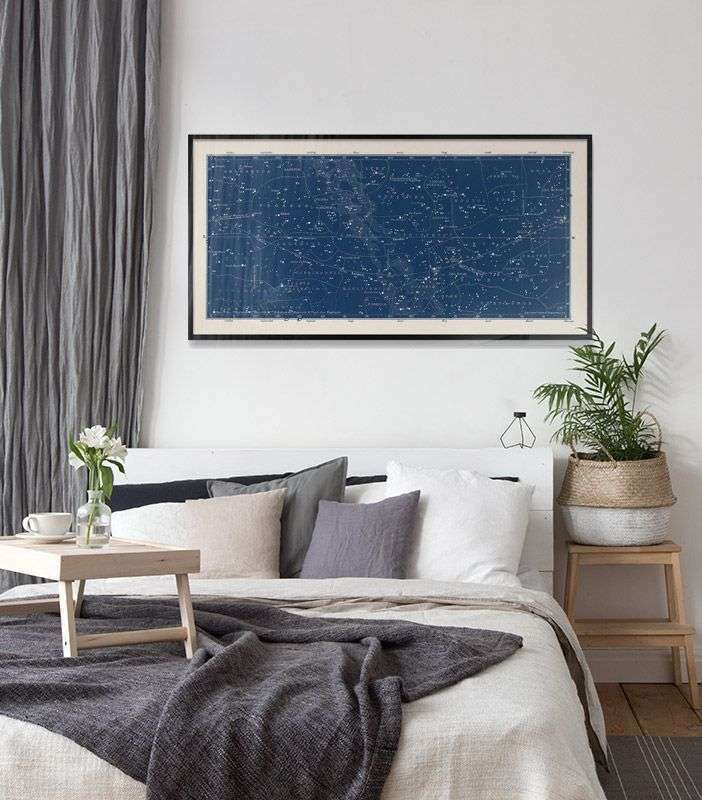 Available in 4 colors – black, blue, navy and slate gray. 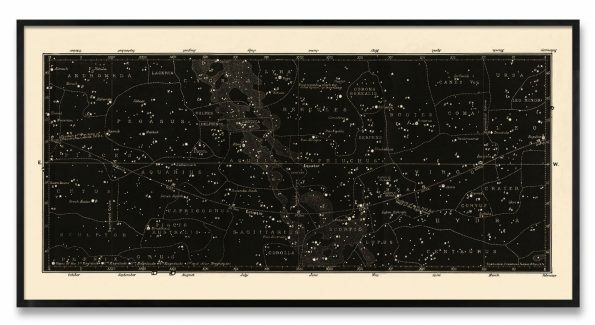 Size Choose an option8" x 16"10" x 20"12" x 24"16" x 32"20" x 40"24" x 36"24" x 48"30" x 60"
8" x 16", 10" x 20", 12" x 24", 16" x 32", 20" x 40", 24" x 36", 24" x 48", 30" x 60"